New York is the epicenter of the financial markets and has been so since the end of World War II. It’s home to the two largest stock exchanges in the world, handling hundreds of billions of dollars in transactions daily. 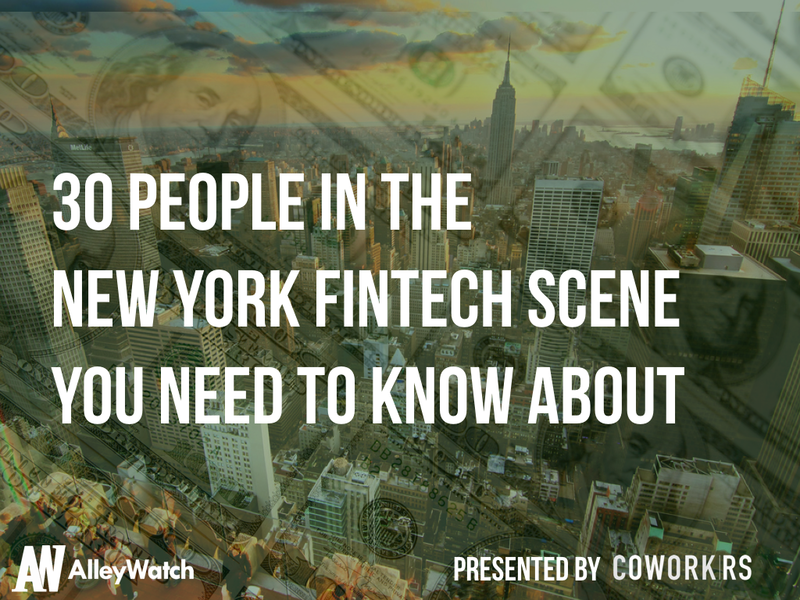 Half of all wages paid in Manhattan are in the finance realm. 16+% of the workforce is in finance, employing over 300,000 workers according to the NYCEDC. The city is also one of the fastest growing hubs of innovation, only second to the Valley. New York is often dubbed the place for ‘hyphen-tech’; where startups and entrepreneurs tackle the challenges facing the established industries in the city. Given the growth in innovation and the city’s positioning as global leader in finance, it’s not a surprise that FinTech is at the forefront. Today, we shine a spotlight on some of the key people in the ecosystem that are driving growth, progress, and innovation in the FinTech space.